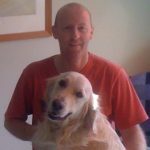 You are at:Home»Dogs»How Can Omega 3 Fatty Acids Improve Your Dog’s Health? Most of us realize we need to take our vitamins to be at optimal health, but what about our dogs? Do they need vitamins or supplements, too? The short answer is, yes! Most dogs are not getting everything they need from their dog food, so supplementation is key. One of the most crucial components of your dog’s health happens to be Omega 3 fatty acids. Let’s find out what it is, why it helps and what to look for. 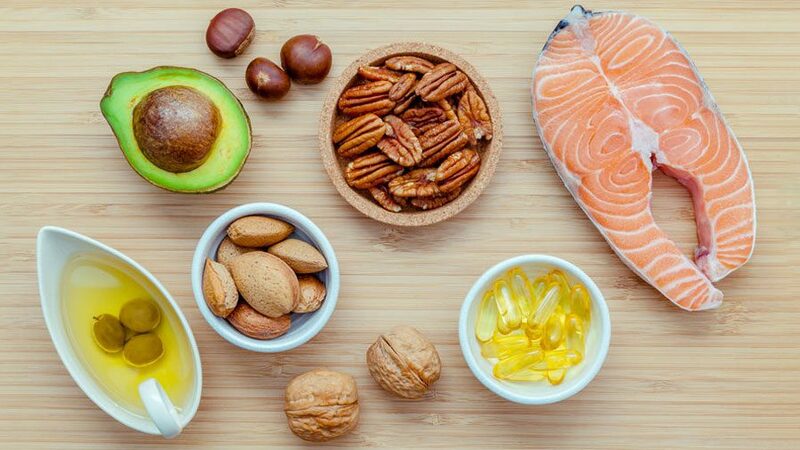 What is an Omega 3 Fatty Acid? Time to put your thinking cap on. The scientific definition of an Omega 3 Fatty acid is as follows: “an unsaturated fatty acid of a kind occurring chiefly in fish oils, with three double bonds at particular positions in the hydrocarbon chain”. So, what in the world does that mean? Let’s break that down a little bit. Basically, an Omega 3 Fatty acid is a healthy fat that is essential to you and your dog’s body’s function. There are multiple types of omega 3 fatty acids, but dogs need either EPA (eicosapentaenoic acid) or DHA (docosahexaenoic acid). Dogs are actually unable to produce Omega 3’s on their own, so supplementation is an excellent recommendation. Alright, now that we know what an omega 3 fatty acid is, why should I give it to my dog? So many people overlook their dog’s food and nutrition. They think if they get them the cheapo brand dog food, well, that’s just good enough. That’s where you’re wrong, kiddo! Omega 3 Fatty Acids have numerous benefits for dogs. At its core, Omega 3’s fight inflammation which is the root of most issues we encounter. Let’s explore what sort of issues Omega 3 fatty acids will help with. Allergies, autoimmune issues, arthritis, inflammatory diseases, dull and dry coats, cognitive function, yeast infections, eye issues, heart disease, cancer, kidney function, high cholesterol, and more. This powerful supplement not only reduces inflammation but can in fact sometimes completely reverse it. They also can improve circulation to various organs. 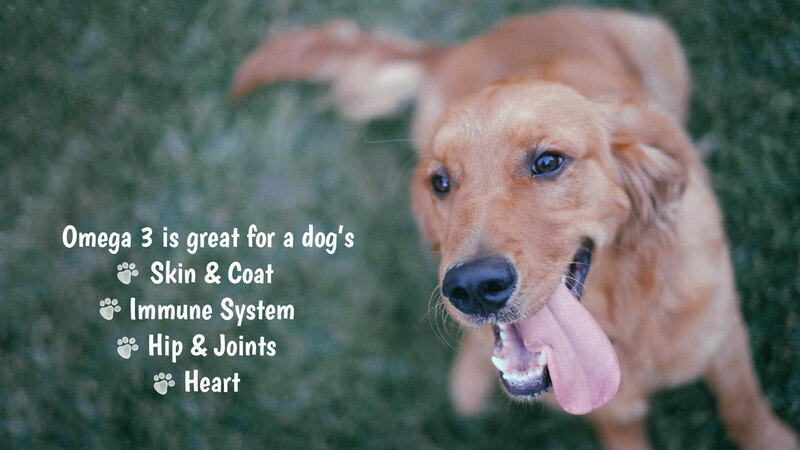 The combination of these two benefits is astronomical for your dog. What Type of Omega 3 Fatty Acid Does My Dog Need? Well, we already recommended EPA or DHA omega 3’s, but what kind of fats are those? Your best bet is to look for a cold water fish oil like salmon. Marine animal oils work really well too, like krill oil. Otherwise, using an algal oil will work very similarly. You want to steer clear of ALA or alpha-linolenic acid because dogs have a hard time breaking that down. If you have ever looked at buying supplements for yourself or dog, you know there is a lot of varieties to sift through. Let me tell you something, they aren’t all good or even safe. So what do you need to be on the lookout for when buying omega 3’s for your dog? Shelf life is something I always take a look at before anything else. What is the expiration date? Does it need to be refrigerated? The bad part about omega 3’s is that they are volatile. If they get to oxidized they will go rancid. You or your dog do NOT want to consume rancid omega 3’s. The dosage size is another key component. I would always advise contacting your vet prior to purchasing a supplement. 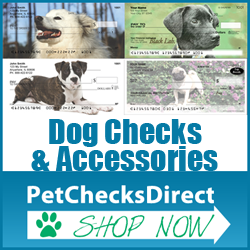 Ask them their recommendation on dosage vs weight of your dog. A good rule of thumb is 22-40 mg/kg /day of EPA. Again, check with your vet. The price tag is also something I would keep in mind. If it is super cheap, you might want to steer clear. I find that the cheaper the supplement, the less effective, lower dose, lower quality, etc. it is. Be careful here! Don’t get sucked into buying a cheap supplement because it’s cheap. Finally, quality is something you need to consider. I really like the cold marine animal varieties. I feel it is the most naturally derived and safest due to their conditions. Take a look at where your omega 3’s are coming from, how it is derived, and how long ago it was produced. Using supplements for dogs can be a little stressful. They aren’t always compliant, and dosages may not be accurate after the coughing and spitting that occurs after giving it to them. There are some whole food sources that are readily available, and your dog will enjoy. Crushed chia seeds are a great way to get your dog some Omega 3s. Just crush up about 1 tablespoon and throw it in with their dog food or mix it in with some peanut butter. Another good option is walnut oil. Most dogs love the smell of fats and walnut oil is no different. You can try giving them a spoonful and see how they do. In the fish arena, you could give your dog some wild caught salmon or anchovies. They are sure to love this. I know my dog goes wild over some wild caught anchovies. He can have them, because I sure don’t want to eat those. Finally, when you are making breakfast, save a little of your scrambled eggs for Lassie. They are full of omega 3’s. I remember my grandfather giving their lab eggs every once in a while to keep her coat shiny. 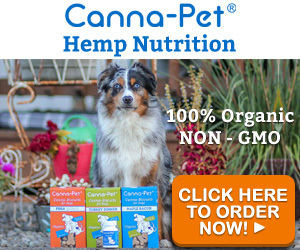 You can see how simple it is just to add more Omega 3’s to your dog’s diet. Pick up some anchovies or chia seeds at the store. Or you could just increase your weekly egg amount when you are getting groceries. Omega 3 fatty acids are going to improve your dog’s health whether they have a known health issue or not. Fighting inflammation is something every dog needs help with. They don’t create omega 3’s on their own, so supplementation is necessary. You will see a substantial difference in your dog both immediately and as they age if you decide to supplement with omega 3 fatty acids.